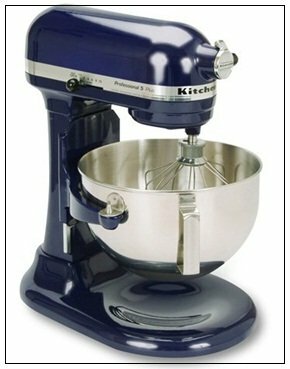 KitchenAid Professional 5 Plus series is a bowl lift stand mixer. Its mixer has the power of 450 watts and it can mix the most powerful materials through its heavy beater. It has ten speed controls and an efficient electronic sensor. KitchenAid Professional 5 Plus comes to you with various unique options and with additional attachments. In addition, alongside with its various qualities kitchen professional 5 plus gives you a warranty of one year. The motor of KitchenAid Professional 5 Plus series got the power of 450-watt which allows the mixture to mix the tough and heaviest materials and mixtures easily. KitchenAid Professional 5 Plus is specially designed for heavy mixing and for large recipes. Its bowl can be fixed on the stand mixer with the help of a handle on the right side of the stand, which will help to lock the bowl to the stand so that it will not remain movable anymore. The beater of KitchenAid Professional 5 Plus moves in sixty-seven different dimensions to make the mixing process efficient and satisfactory. You do not need to revolve the bowl with KitchenAid Professional 5 Plus because of its efficient working and the wonderful mixing of its beater. In addition KitchenAid Professional 5 Plus have got a unique mixing action first its beater stir the mixture in clockwise direction and after that it starts mixing the material in anti-clock wise direction to make all the ingredients mix in the mixture completely. KitchenAid Professional 5 Plus series comes up with 10 speed controls. These speed controls are helpful in determining the speed of the mixture according to your preferences and the demand of your mixing material. The beating process can be customized from lowest to highest level according to your demands. KitchenAid Professional 5 Plus is designed in a unique way that it can handle any job assigned to it in the kitchen. It is elegant, wonderful and versatile. 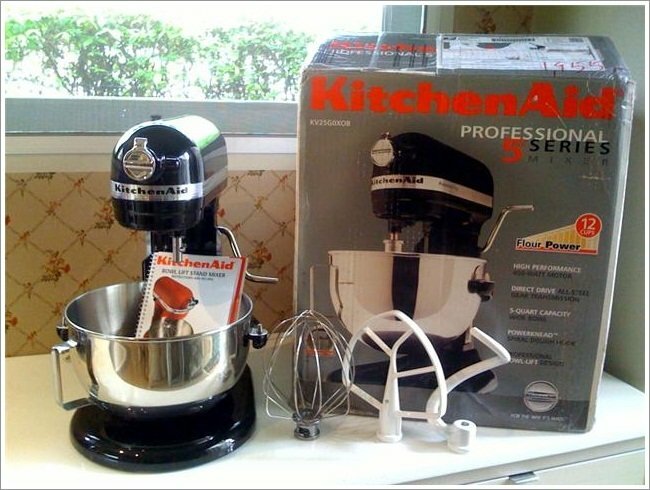 KitchenAid Professional 5 Plus comes with additional accessories including flat beater, spiral dough hook and wire whip. KitchenAid Professional 5 Plus weighs about 29 pounds & as far as its dimensions are concerned, it is 19.5 x 16.9 x 13.2 inches. Its 450-watt motor makes the mixing of heaviest mixtures quite easy and comfortable. It is very helpful in making the big recipes. The unique mixing of the beater in clock wise and anti-clock wise directions makes the mixing of all ingredients in the mixture effectively. KitchenAid Professional 5 Plus comes with one-year replacement warranty that is a big deal for its buyers. Buyers often complain that the mixture makes troubling transmission sounds. The buyers of KitchenAid Professional 5 Plus are mostly satisfied with its working and reliability. Most of the buyers have mentioned that they have KitchenAid Professional 5 Plus as a gift to their kitchen. It has made their life quite comfortable and much easier than before. People can make the big recipes at home without any discomfort, which they were not able to prepare at home because of having troubles with their equipment and beaters. 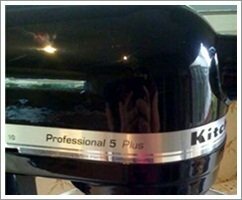 KitchenAid Professional 5 Plus is elegant, reliable and a wonderful mixture. It has got a unique style of mixing in clock wise as well as anti-clock wise directions so that the mixing can be done in the best possible ways. In addition, KitchenAid Professional 5 Plus comes up with a warranty of 1 year. By, far KitchenAid Professional 5 Plus has satisfied its 90% of its buyers with its tremendous features and efficient working.